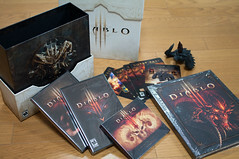 The identity theft case which connected with Diablo account of Blizzard company was alleged to be committed by a local user, named Mr Liu Dong-Yun, who was a CIA agent plus a district court prosecutor and judge identity to steal my email account to register your game account and caused such a troubling issue. For this and related identity theft issue which had been affected me, recently I filed a subversion case against the prosecutor and agent Mr Liu who was alleged to commit such an identity theft misdemeanor upon my hotmail account “chaokai_chang@hotmail.com”. The attached legal action document was filed against the district court prosecutor and CIA agent Mr Liu, with Time magazine customer address forced to adjust from five digit code to three digit code by district court with no justifiable reasons, surely of an abuse of official power upon innocent citizens. 3rd Fl.,204 ChungHsiao Rd., Banciao, New Taipei City, ZIP 22064, Taiwan, R.O.C. David has a file to share with you on SkyDrive. To view it, click the link below. A user of this account has recently been involved in actions deemed inappropriate for Diablo III. The account action detailed below was made after a thorough investigation of the situation as a whole. Though we are unable to discuss the outcome of our investigation due to privacy concerns, rest assured that this incident has been looked into very thoroughly and appropriate action taken on all accounts involved. Once your account authentication has been completed, we will check your account and let you know what we can do for you. Thank you for your understanding and respect for this. 2013 Blizzard Entertainment, Inc. All rights reserved. Diablo and Blizzard Entertainment are trademarks or registered trademarks of Blizzard Entertainment in the U.S. and/or other countries. Paris, 2002 National Day of France, in front of the McDonald's.